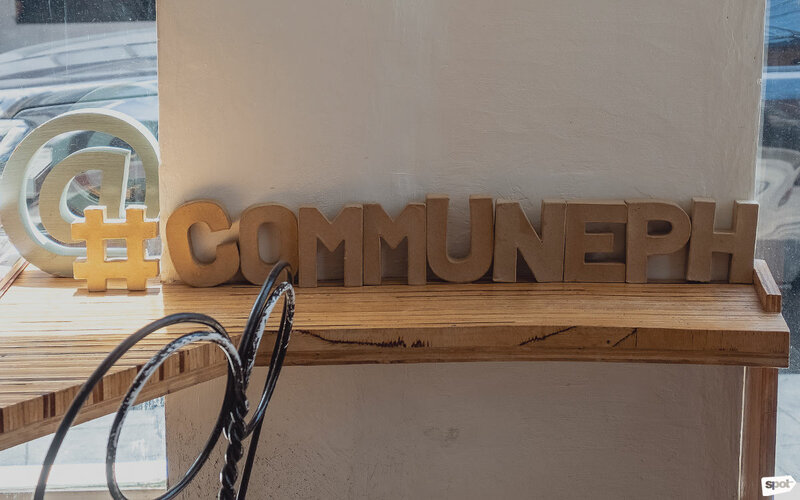 Commune proudly serves Philippine coffee and builds a community while at it. 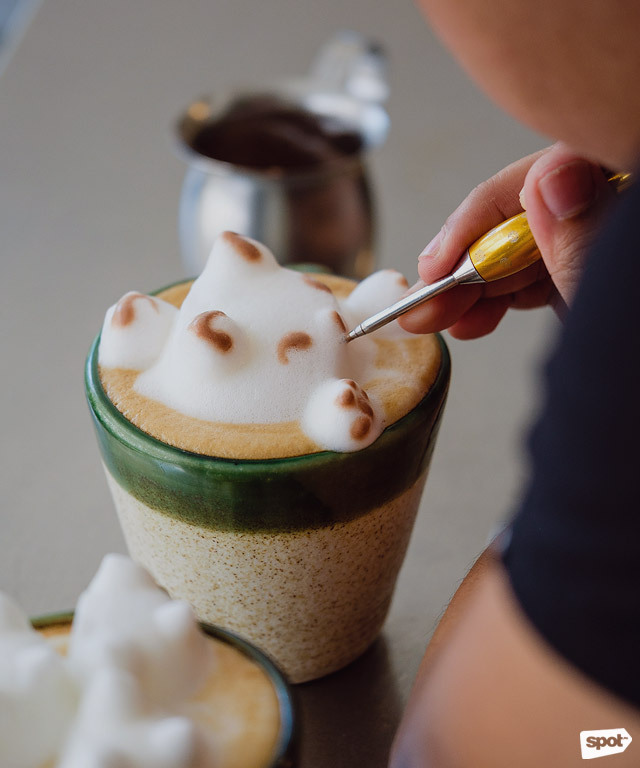 (SPOT.ph) There’s something romantic about drinking coffee—the process of grinding the beans and brewing the grounds, then enjoying its aroma and flavor afterwards. Drinking a cup of this black liquid is in itself a ritual that either preludes or concludes specific activities: It heralds a new day as you steal some quiet time before rushing headlong to work; it caps off a hearty meal shared with friends or loved ones; it’s a great companion for when you want to spend time alone, reading a book. It’s this lifestyle that attracted Rosario Juan, owner of popular local coffee shop Commune in Makati, to coffee. “When I first got interested in coffee, I think it was the lifestyle associated to it that got me interested. It’s so sophisticated, so grown-up. And I was probably, I don’t know...13, 14?” she recalls. Traveling with her parents to Italy, where coffee is practically considered sacred, further fueled Rosario’s passion for coffee. It also helped that her aunt, Chit Juan, has a café of her own: Figaro, also a local coffee shop. 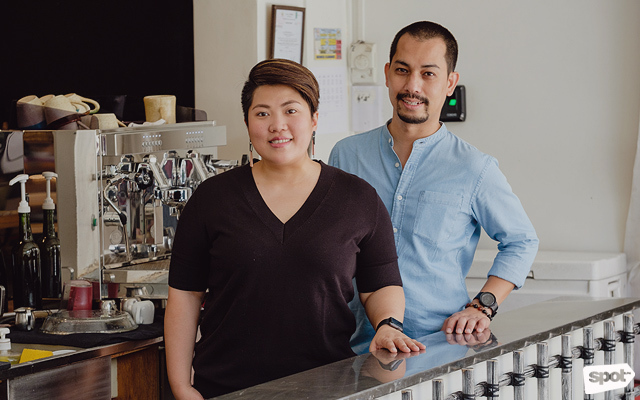 Having been involved with Figaro exposed the younger Juan to the local coffee industry; hence, when she established Commune, she knew from the get go that she would source for coffee locally. “I didn’t even consider other origins. No question in my head—it’s going to be Philippine coffee,” she declares. It took a while, though, before Juan finally opened Commune. After her internship at Figaro, she moved to Shanghai, China, to study and to also help her aunt establish Figaro there. 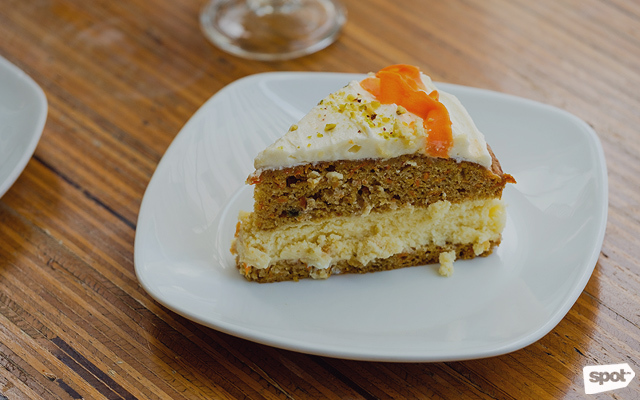 She came back to the Philippines in 2009, but she was still unsure of pursuing her café dream. Then in 2012, a space in Salcedo opened up, and Juan took this as a sign to finally bite the bullet and put up her own coffee shop. Come April 2013, Commune opened its doors. “I didn’t even consider other origins. 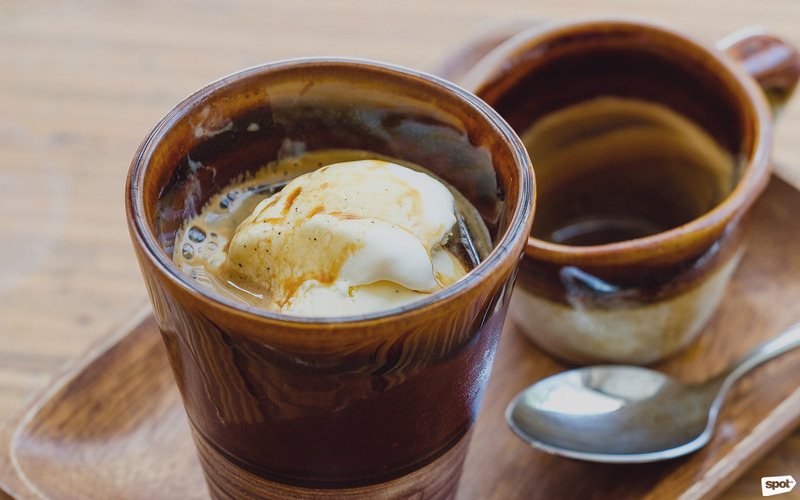 No question in my head—it’s going to be Philippine coffee." Juan was resolute in offering customers a different café experience. 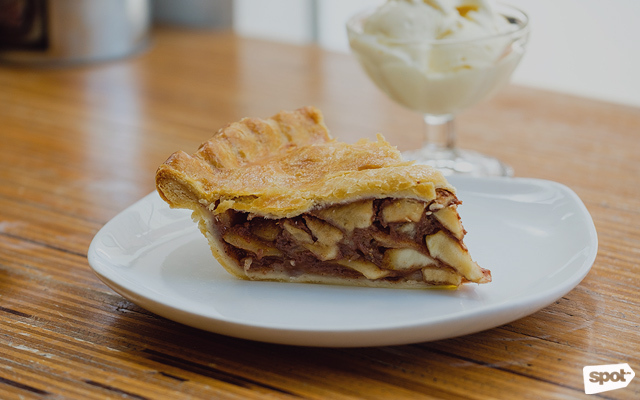 She relates, “I’ve seen how cafés are done in other places. I wanted to do something here na hindi pa nagagawa. So then, coffee shops was for coffee and food, but no coffee shop offered Filipino food. 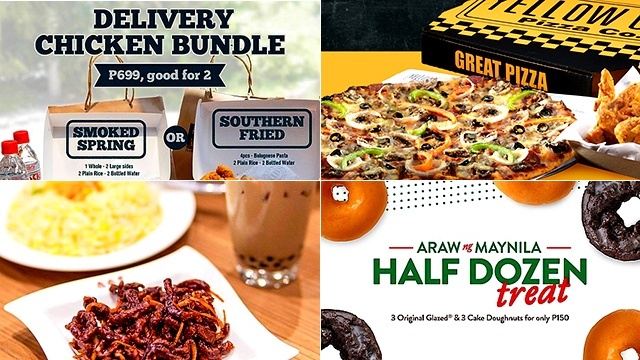 It was always pasta, sandwich, 'yon 'yong standard.” Some found the Pinoy food and coffee pairing strange, but Juan makes a strong case for it: “Well for one, Pinoys, you can’t just give them coffee. They’ll always look for food, and I don’t see why you can’t enjoy coffee after you eat tocino.” So don’t be afraid to try a serving of Pork Adobo and Salted Egg Mayonnaise Pandesal (P150) with your brewed coffee for breakfast. The Pork Longganisa Pasta (P300) with Iced Toddy (P145), Commune’s own concoction of cold brew) also work well together. Commune is also strongly committed to promoting the local coffee industry. The coffee shop serves single-origin, 100-percent arabica coffee, but their own blend combines robusta with arabica. Explains Juan, “You put robusta there because robusta really helps the body of your espressos. 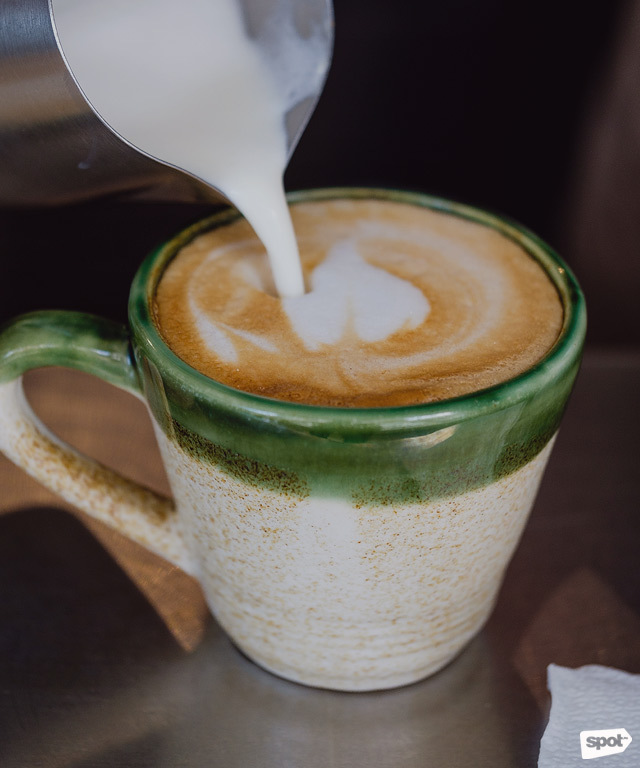 It’s also good with the caffeine, and the crema comes from the robusta.” The café sources from Sagada, Mount Kitanglad, Mount Matutum, and other regions in the country that grow arabica. Commune also works closely with the Philippine Coffee Board, Inc. and Juan herself is part of the International Women’s Coffee Alliance. By partnering with these organizations, Commune is able to further support local coffee farmers, working with them directly. Having a good relationship with the farmers ensures that Commune serves only good-quality coffee. “The quality of coffee is something na from tasting it, you’ll find out kung ano 'yong pinagdaanan ng kape—if they didn’t pick it right, if it wasn’t dried properly, if it wasn’t processed properly, it wasn’t stored properly, malalasahan mo ‘yon.” Juan also makes sure to try out various coffees when she travels to keep abreast with the standards, allowing her to benchmark Commune’s coffee with the rest of the world. 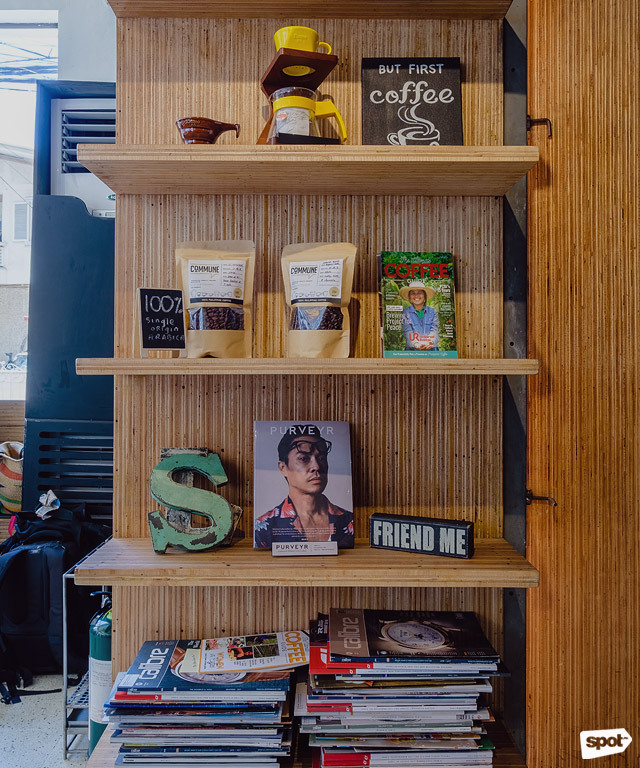 When the café moved to Poblacion in 2015, this sense of community continued to thrive. Various workshops and programs are held here regularly, thanks to a bigger space. Upstairs (yes, that’s the name), which is on the second floor, has hosted open-mic events and improvised theatrical performances as well as talks. 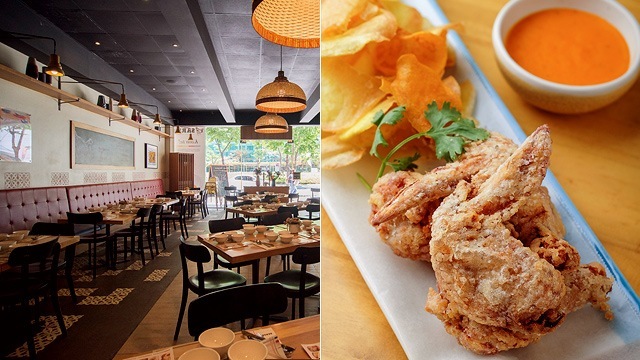 For intimate gatherings, there’s Poblacion Dining Room, which is adjacent to the main café. “I wanted to do events because that’s also what I miss doing. I was doing so many events in Shanghai...that’s why it became Commune. For me, it had to be like a community hub,” shares Rosario. 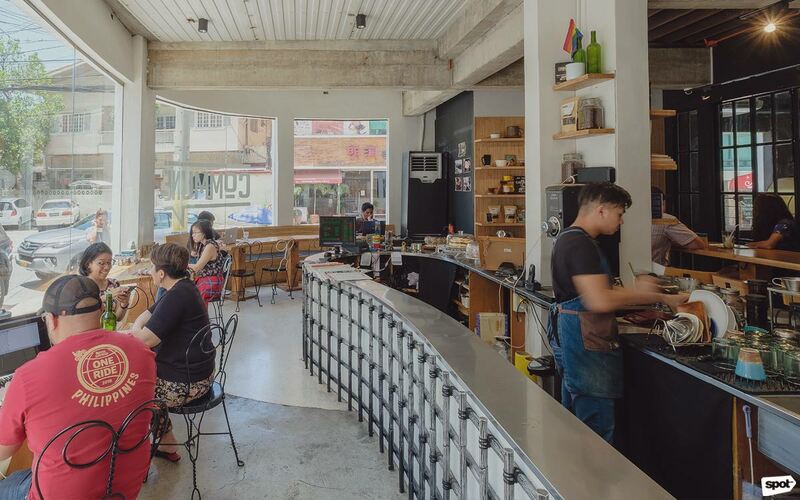 The new address attracts a number of foreign tourists who flock Poblacion, giving Commune more opportunities to put Philippine coffee in the spotlight. Fast forward a few years, and more and more local coffee shops are popping up in the country. But instead of feeling threatened, Juan says she’s happy about the growing competition. “That was the point! It’s not that they’re competition, it’s that there’s more of us actually selling and promoting Philippine coffee,” she says. And for those who still doubt the quality of homegrown coffee, Rosario encourages everyone to be adventurous once in a while and to be discerning consumers. It pays to know where the beans are sourced from. “If you get it from reputable sources, you will be able to get very good quality. And for any coffee, for any part of the world, any coffee-producing nation, I think the key is for you to find the coffee that you like.” Developing a personal taste in coffee means trying out different variants, so don’t be shy to ask the barista about the flavor profile of the coffee you’re ordering. 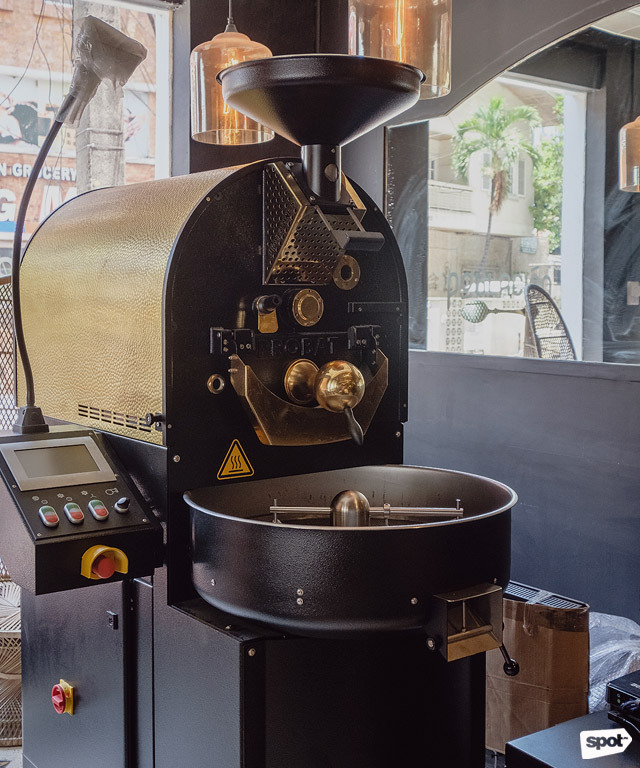 For as long as the ingredients used are of high quality, the beans were properly roasted, and the brewing or extraction process have been done well, that cup is something to be proud of.